It doesn’t matter if you’re a budget traveler or you want to explore somewhere a little more exotic. 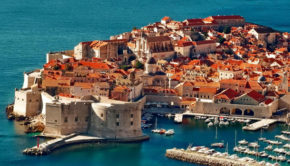 Croatia offers plenty of things to do for visitors while still being budget-friendly and not nearly as busy as some of the other popular European destinations. These days, most travelers head to Zagreb to explore the beautiful Croatian capital or Split to relax by the Adriatic Sea. There’s actually a lot more to do across the country, especially if you’re looking for a more unique travel experience. Today, I want to share with you some of the best places to visit in Croatia if you want to get off the beaten path and you want to spend your trip exploring some unique places that not too many people get a chance to check out. Sitting on a prime spot along the beautiful Dalmatian Coast is the seaside town of Zadar. A lot of travelers stop in Zadar but only as a quick stopover as they make their way to one of the many Croatian Islands or before getting onto a cruise. 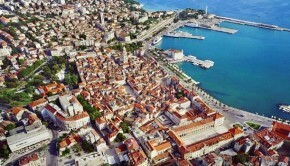 Zadar has a lot to offer its visitors. It’s a beautiful town that you’re definitely going to want to make time to explore. 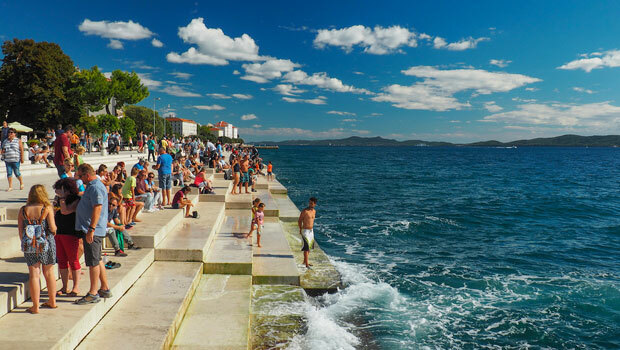 The highlight of Zadar is the Sea Organ – a one of a kind musical and artistic structure that’s built right into the wall at the city harbor. Its design and the way it works is what makes it so interesting. There is a series of tubes underneath these large and sprawling marble steps right on the water. Every time that a wave crashes into the harbor wall the water get pushed through these tubes. The result is a series of interesting and unique sounds, sort of like a coastal melody, that you can enjoy all-year-round. 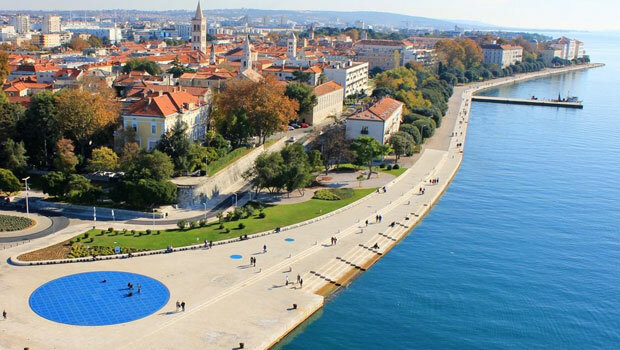 What I love about the Zadar Sea Organ is that you’ll never actually end up hearing the same sound twice. Every sound that the Organ produces is completely unique thanks to how the waves shift and change as they crash into the Organ. Not only is this a cool landmark to check out when you’re in Zadar but it also makes for a really memorable travel experience. There are very few places elsewhere in Europe where you can experience anything like this. 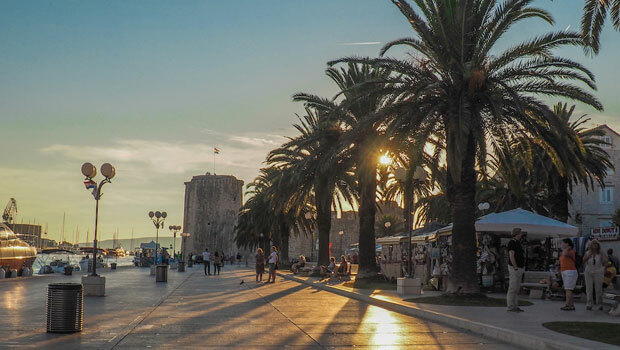 While plenty of tourists make time to stop in Split many of them miss out on the beautiful medieval town of Trogir 40 minutes away. The town itself is packed with awe-inspiring historical sites, some of which date back to the 13th century including the Duke’s Palace, the City Walls, and more than 10 different churches. Trogir itself is a very small island right off the coast. It’s so close that it’s connected with a short pedestrian bridge that makes it very easy to walk around and explore on foot. Since 1997 the historic old town has been part of the UNESCO World Heritage Site List. Around every corner you’re presented with some incredible medieval architecture that you just have to stop, admire, and probably take a photo of. Even during the peak of the summer tourist travel season Trogir still remains a lot quieter than Split. This means you’re able to have a much more enjoyable and memorable experience without having to worry about bumping into tons of other travelers. Game of Thrones lovers are also going to find Trogir especially exciting as HBO filmed part of the series here and used the town for various scenes for the city of Qarth. Being so close to Split it’s easy to reach Trogir by bus for an easy day trip. Though I would definitely recommend spending the night if you can. You’d be able to wander around late in the evening or early in the morning and have the entire town almost all to yourself. There are a countless number of picturesque small towns in this region of Croatia but Trogir is one of them that is bound to have a lasting impression. You might be thinking that there isn’t much to do in Croatia. Sure you could check out a few cities, relax by the beach, or explore some waterfalls. But what if I told you that you could actually climb deep into a variety of different caves across the country! Yep, you heard that right! 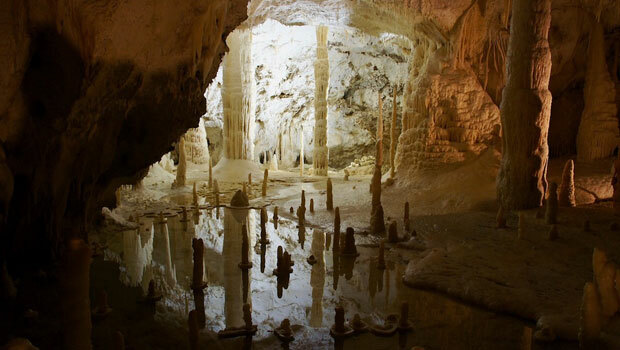 Across Croatia are a series of caves of different shapes and sizes that you can explore. You could spend the day swimming or you could throw a helmet on and make your way underground to cool off and admire some incredible stalagmites and stalactites. Rovanjska is the most popular place to go caving in Croatia. 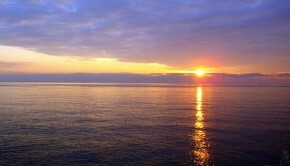 It’s 25 minutes away from Zadar in a small village and easily accessible. This is where you’ll find the Modrica Cave. It’s one of the biggest in Croatia that’s accessible by the public and can be safely explored with a private guide. The cave itself is huge – more than 800 meters in length. What’s so great about it is that it has remained a natural cave. This means that there aren’t any railings, obnoxious signs, or any concrete walkways. It’s as legitimate of a caving experience you can get and the natural setting makes it a lot more memorable. The tours through the cave take about 2 hours and you’re provided with the gear you need when you book your trip. The cave is open all year round and it’s still somewhat of a hidden gem so there’s a good chance you’ll be able to explore with just a small group. Looking to sail the Seven Seas in search of hidden treasure? Well, then you’re going to want to make your way down to Dubrovnik where you can actually hitch a ride on a real life pirate ship. No, that wasn’t a typo, there’s an actual pirate ship docked in Dubrovnik. Don’t get me wrong, it’s not authentic. 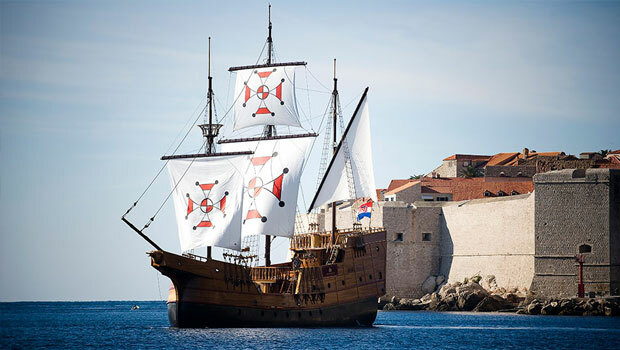 It’s a replica built from scratch and designed to look like a ship that sat in Dubrovnik Harbor back in the 16th century. You can hop on in the afternoon for an evening cruise and experience what it must have been like to sail along the Croatian Coast more than 400 years ago. These days, you can relax on the ship while enjoying some champagne with your friends or family. You’re definitely not going to want to forget your camera so you can capture the incredible sunset as it dips beyond the horizon on the Adriatic! All the while admiring the city walls of Dubrovnik as you float by. Speaking of city walls, Dubrovnik is another location that’s featured in the Game of Thrones TV series. Lovers of the TV show are definitely not going to want to miss this city or the pirate ship experience. The ship is called the Galleon Tirena. Be sure to check out the website or give them a call to book a cruise for yourself so you can enjoy the experience of sailing on the Adriatic in a pirate ship! Stretching for 140 km across Croatia and Bosnia is the Korana River. It might not seem like anything too interesting but this is the same river that creates the incredible Plitvice Lakes and waterfalls. It’s definitely worth exploring if you’re going to be in the area and looking for yet another memorable travel experience. You’re not going to be able to swim in the river when you’re admiring the waterfalls around Plitvice. However, it’s easy to stop by one of the surrounding villages, park the car at the side of the road, set up your towel, and hop into the crisp blue water for a relaxing swim. 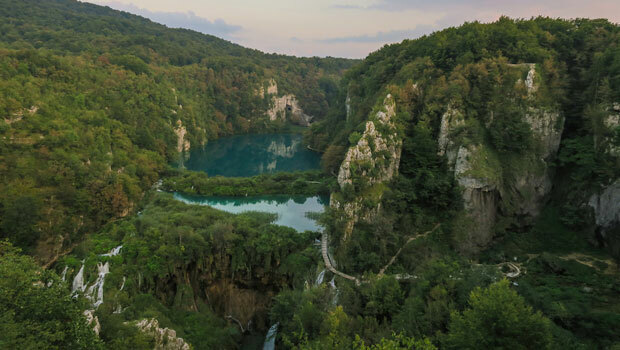 Thanks to the geology of the region as well as the laws surrounding commercial activity near the Plitvice Lakes, the water of the Korana River is extremely clean and very well suited for swimming. Even in its deepest parts you can see straight to the bottom. You can even watch fish swimming around you because the water is so crystal clear. This is one of the more lesser-known hidden gems and local secrets in this region of Croatia. Swimming in the river is definitely allowed and it’s one of the best ways to cool off during the warmer summer months. Most tourists decide to check out the falls and then leave at the end of the day. So you’ll likely have the place to yourself and can enjoy a relaxing swim with your friends or travel partners. So there you have it! Hopefully I’ve given you some great ideas on some more off the beaten path travel experiences that you can enjoy during your trip to Croatia. It’s always nice to explore some of the bigger and more popular tourist destinations. Though the best memories and experiences happen when you’re off doing your own thing and exploring something unique that not too many other people get to enjoy. Croatia is a beautiful country and it’s definitely worth visiting if you ever get the chance. Be sure to keep track of these travel experiences so you’re able to enjoy them all to yourself on your next Croatian adventure! Stefan Stefan is a travel blogger who runs StefanRTW.com. 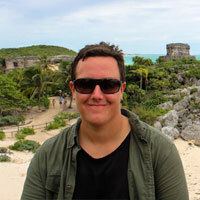 His blog is dedicated to helping fellow travelers make the most of their time abroad. When he's not working away at his laptop you can find him exploring a medieval old town somewhere, hiking through the Swiss Alps, or relaxing by the Adriatic Sea.